At Azenby a lot of our clients have asked us to undertake technical due diligence for them, normally when there is some sort of company acquisition or merger. It’s a standard business process. 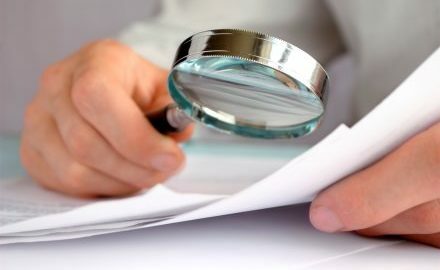 You want to buy something and not unnaturally you want to know if it is worth buying and therefore call in the due diligence (DD) team to check out the target of the acquisition. This is especially sensible given that it’s so often a unique one off and complex purchase and the value comes as a result of a complement to existing business. Azenby has performed more than 10 major DD activities in recent years across Europe and Asia. Network economics and how the network is supporting the company strategy and the marketing vision. Often a buyer has considerable expertise to do the technical due diligence themselves, but there are a couple of reasons why general expertise can be augmented with outside help. For instance, the buyer may be expanding into a new market segment and so by definition they don’t know the new domain in sufficient detail. Another reason that an external resource can beneficially be used for DD is a little more subtle. The result of a DD can be that it results in a decision not to buy the target company. Indeed, a not-to-proceed decision is the norm in due diligences as realities should be continually tested against hard business benefits of an acquisition. In this case the two companies risk parting ways with a feeling of mutual irritation. However, since the target is likely operating in a sector close to the buyer, NDAs with strict confidentiality will have been obtained. In many cases the staff involved in the DD are then sent on gardening leave for a few months. In the event that the sale does not proceed, it’s quite logical to insist this be the case because those staff will have seen future plans, products, planned investments and all manner of commercially sensitive material, in all likelihood from a direct competitor of the buyer. From the buyer’s perspective a thorough DD process is essential, which means they need to use some of their best people, yet those same people might be forced out of the business for months of gardening leave if the sale does not proceed, not a great result from any perspective! If an external company is used, they probably have more experience in DD, but also if the sale stalls critical staff are not quarantined. All relevant data should be put into the data room, some of it potentially redacted for a variety of reasons. So, rule 1 is that the DATA ROOM IS NEVER COMPLETE OR ON TIME so don’t expect it to be! Expect to have numerous iterations asking for a more complete set of data through asking specific questions. Sometimes, the data room itself is set up by a 3rdparty with a super secure, super access controlled and logged data room system. All well and good you would think until as a data room user you discover you have to download a client to your laptop to get access to it, and your laptop never works again! We have even resorted to using a different device from our normal laptop to work in the data room. Never trust the interviews, as you continue work your way through the material in the data room there will come a time where you have friendly discussions with the staff of the target company, those at least who feel they can talk in public. In general, some will be completely honest, some will obscure by omission, and some will have embellished their memory of events (shorthand for they will obscure to your face!). Trust no-one! Just use the written data, and get any verbal statements backed up in writing, or even better have the corroborating documents entered into the data room. Prepare to be complained about. For the team actually doing the DD and delving into the target company, maybe going places the target would rather you didn’t, and by necessity asking for corroborating evidence, can generate friction. As a result, it is not unknown for the target company to complain about the amount of time that is being sunk into answering questions, or the fact that questions are being asked that are confidential or not relevant. Ignore all of these complaints, if anything they are a sign that the DD is being done effectively and some difficult truths may be surfaced. Instincts or suspicions can result in serious trouble. Picture the scene. You have been doing a DD for a week, and you are convinced there is a potential problem with some aspect of the target but you haven’t fully resolved the issue. You are asked for a report on how things are going from the buyer…. You mention your concerns….. and suddenly, after a chat between the two CEOs, you are requested to provide explanation. The target has refuted all your suspicions and demanded proof, and without details to support suspicions an untimely and potentially difficult withdrawal is necessary. There are other uses for the expertise and metier of Due Diligence. With very large projects, most especially those of a highly political nature, or involving many levels of subcontract, delays can build to catastrophic levels as unwillingness to declare shortfalls is escalated through the network. DD allows large projects top to bottom sanity checks. This is very difficult for engaged and interested parties, some of whom may be facing damages and costs as a result of declaring over runs. Our experience has been that this process can bring much needed extra clarity to the formal reporting. At Azenby, we frequently advise clients using DD techniques both during acquisitions, but also at many stages in projects where an independent view can be of use. For more information contact phil@azenby.com.